The new Talent Line of Berg promisses many advantages. The garden trampolines are now available with a smaller diameter, especially suitable for younger children. 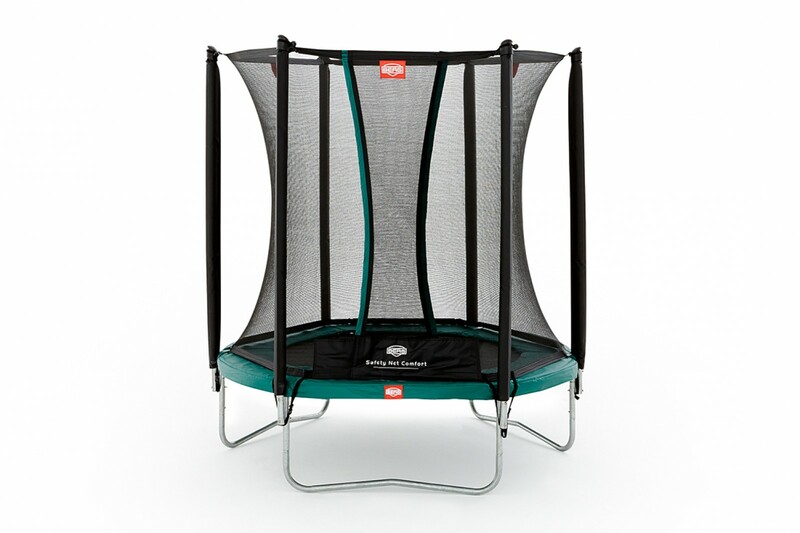 The classic with Comfort net is already available from a trampoline diameter of 180 cm. The new garden trampolines are optimally suitable for smaller floor spaces and offer an unmatched price-performance ratio. Being equipped with an a bit thinner protective cover and a more simple Goldspring Talent springs, they are a perfect and affordable alternative for the well-known Sport Series of Berg. Due to a smaller diameter and a maximum user weight of 70 kg (for a diameter of 300cm), the Talent trampolines are exclusively designed for children and growing up jumpers. The trampoline has a sturdy frame with a solid tube wall thickness, thanks to the zinc layer, the frame is corrosion resistant. The net protects perfectly from risks and accidents. 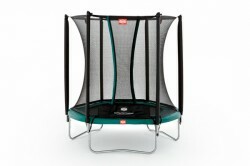 Berg trampoline Talent + safety net Comfort add to comparison list.